There are many career paths for PhDs that don’t require a postdoc, including some faculty positions in certain disciplines. 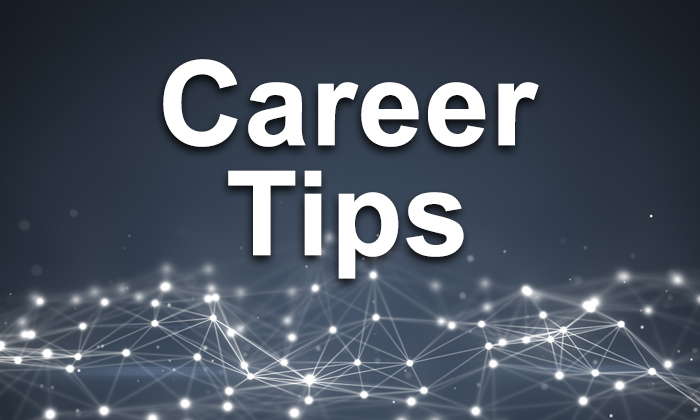 When you are exploring career options, it is important to ascertain whether doing a postdoc would make you more competitive for a career path of interest. If you determine that you need to do a postdoc, the next step is finding the right postdoc opportunity. There are many routes to securing a postdoc position. Trainees often directly inquire about possible opportunities with faculty members of interest. For some, their PhD or current postdoc advisor will facilitate a postdoc opportunity with another faculty member. Others will respond to ads in scholarly journals or via professional societies. Then there are those who will network their way to a postdoc position during a conference. Whatever the route taken, deciding to do a postdoc at a given place and under the mentorship of a particular person should be a decision that is weighed with the utmost gravity. Often, trainees only consider their interest in the research area and the research reputation of the mentor. To be clear, these elements must be factored in heavily when deciding upon a postdoc position; however, there are many more facets that should be evaluated and that could have a bigger impact on one’s career, life, and happiness. Mentorship – How will your mentor actually help you advance in your career? Will they be supportive of a range of career outcomes? Will they be an advocate during a future job search? Management style – Is your boss a micromanager? Do they lay out clear expectations and provide constructive feedback? How do they deal with conflict? What is their communication style? Funding – Where will your funding be from, how stable, and how long? Will your position depend upon securing a fellowship/training grant spot, and if so, by when? Will you have the opportunity to seek out funding or gain grant writing experience? Will you be able to acquire the resources needed for your project? Project portability and niche – If interested in a faculty career, will you be able to take your project with you? Will you be able to develop a research/expertise niche for yourself that will make a unique and competitive faculty candidate down the road? Collaboration – Will you have opportunities to collaborate locally and externally? Will you have the opportunity to initiate and lead collaborations? Career and professional development – Are there career and professional development resources available to postdocs there (workshops, courses, career counseling, networking and career exploration events)? Does the institution foster a training environment that enables postdocs to become competitive for a range of career opportunities? Coworkers/workplace – Will you able to be friends/friendly with the others in the group? Does the workplace environment (working hours, atmosphere, tidiness) gel with your own preferences? Will you be supervising other trainees or staff, involved in lab management, or performing routine administrative duties, and if so, is this of interest or a distraction? Salary/Stipend – Will the salary offered be sufficient to cover your basic needs and leave some disposable income for savings and fun? What is the prospect of future salary/stipend raises, when might these be expected, under what conditions, and what might a typical increase look like? If receiving a stipend from a fellowship/training grant, can this be augmented with salary from faculty member? Affordability and commutability – Can you afford to live comfortably within a reasonable commuting distance from work? Will you be able to afford childcare if needed now or in the future? Is the area safe, especially traveling from work late at night regularly or on occasion? Health benefits – Are you considered an employee of the institute? Note that many postdocs on fellowships and training grants are not considered employees and have no or limited access to institutional benefits or pay a very high premium for these benefits. Will you receive health benefits? If so, what are the costs, and can you afford this? Do the health plan options available meet your personal and family medical needs? Will you have access to affordable dental and vision insurance? Other benefits – Will you be receiving full employee benefits, including retirement (account access, employer match/contribution), tuition benefits for you and family members, life insurance, legal assistance, wellness benefits, gym discounts or access to an institutional gym, child care discounts or ability to enroll children in on-site childcare services, backup care, child or elder care accounts with employer contributions? Lifestyle alignment – Does the area align with your lifestyle? Will you be able to find groups, people, activities that enable you to enjoy your time away from work? Support systems – Are there cultural, religious, affinity, and/or special-interest groups in the area that will provide the support network you need? If you need to be close to family, especially for current or future help with child care, will this locale be amenable to that? Postdoctoral training can be an exciting period. Ask faculty about their postdoctoral training experiences and you will likely hear many recall with positivity the freedom they experienced during this time period – freedom to really explore their research interests and freedom from administrative responsibilities, extensive grant writing, teaching, mentoring, managing, etc. However, postdoctoral training can also be one of the most challenging times in your life for a myriad of reasons. It can be easy to get excited about a possible research project and ignore warning signs of poor mentorship, lack of institutional postdoc support, and a less than ideal locale. Postdoc training can last several years, and excitement about a research project will likely ebb and flow. Making sure you have what you need to live, thrive, be supported, and advance in your career should be significant factors when deciding upon a postdoc opportunity. Keep searching if you feel you are sacrificing too much or there are too many red flags. The decision you ultimately make will have a critical impact on your career, so do a thorough search and really assess opportunities that you uncover. 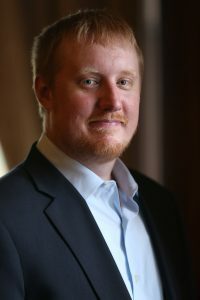 Rory Flinn is the Director of Graduate Student Professional Development at Worcester Polytechnic Institute (WPI), where he designs, develops, leads, and facilitates professional development programs for graduate students. Prior to joining WPI, he served as the Director of the Office of Postdoctoral Affairs at Columbia University, a role with a focus on postdoctoral career services and professional development programming. Rory conducted his postdoctoral training at NYU School of Medicine, earned his PhD in Molecular Pharmacology from Albert Einstein College of Medicine, and has served as an adjunct Assistant Professor at Yeshiva University. Rory is passionate about improving graduate career and professional development and contributes to the national conversation through his membership in the Graduate Career Consortium.